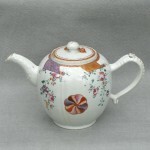 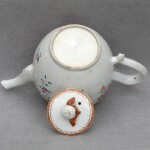 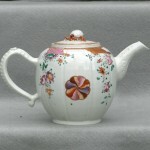 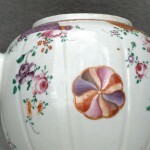 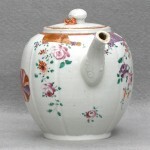 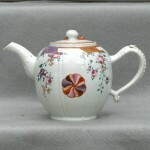 A ribbed melon form Chinese teapot with central pin wheel design, floral sprigs and stylized patterned scrolls descending from just below the rim. 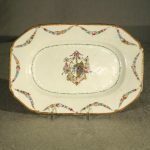 made in the late 18th or early 19th century. 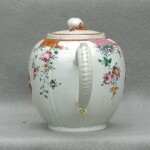 The spout has raised molded scrolls. 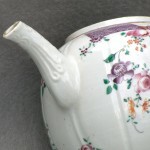 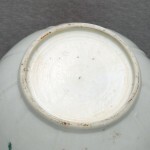 firing cracks where the two applied ornaments are attached at the top and bottom of the handle.